Leaders from Cuban, Latin American, U.S. and world churches have spoken out together in support of the normalization of relations between Cuba and the United States of America. They issued a joint statement April 10 U.S. the same day that President Barack Obama and Cuban President Raúl Castro talked by telephone about restoring diplomatic ties, Reuters news agency reported. They were due to meet at a summit over the weekend as they seek to set aside decades of hostility between two Cold War enemies, Reuters news agency reported. The rapprochment is expected to lead eventually to the lifting of U.S. sanctions against Cuba. Cuba's Council of Churches (CIC), the Latin American Council of Churches (CLAI), the National Council of Churches USA and the World Council of Churches spoke out together on the normalization of relations between Cuba and the United States of America. Rudelmar Bueno de Faria, WCC's representative to the United Nations in New York, United States, represented the WCC in a meeting in Havana on April 9. There participants issued a joint statement expressing gratitude, appreciation and encouragement for the ongoing negotiations between the governments of Cuba and the United States to normalize relations. They said that as Castro and Barack Obama will meet at the Summit of the Americas in Panama, "we urge them to break bread together and to have conversations in a spirit of mutual respect and equality that will accelerate the process of normalization." The signatories of the statement were Rev. Joel Ortega Dopico, the CIC president, Rev. Jim Winkler, the general secretary of the NCCUSA, Rev. Felipe Adolf, president of the CLAI and Bueno de Faria, the WCC's representative to the UN. "We recognize there are details that must be addressed, but we emphasize it is of the highest importance that progress continue and that the presidents remain in communication and personally involved in the discussions," their statement read. It was released ahead of the upcoming 7th Summit of the Americas in Panama on April 10 and 11. Summits of the Americas are institutionalized gatherings of the heads of State and government of the Western Hemisphere. This was to be the first Summit of the Americas with the official participation of Cuba and the first major regional meeting of heads of State after the developments in relations between Cuba and the United States announced by both governments in December 2014. At the time of that announcement, the WCC general secretary Rev. 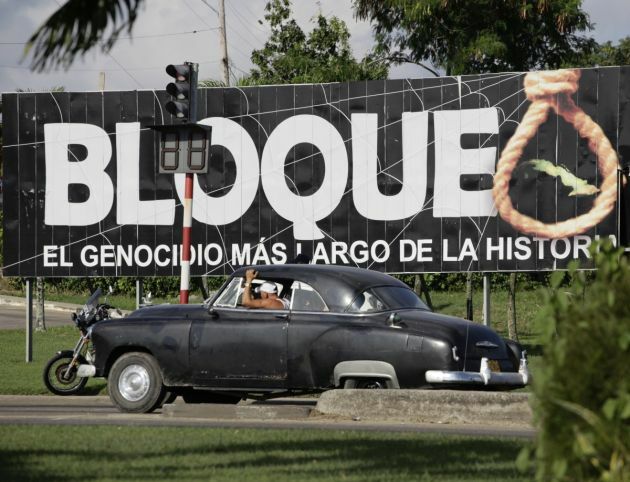 Olav Fykse Tveit commented that the new Cuba-US rapprochement was "a sign on our pilgrimage of justice and peace." He said it is "a sign that despite long and bitter divisions, peace and reconciliation is always possible. It shows us that the way to just peace is the path on which people find each other as fellow pilgrims, at peace with one another." The April 10 statement issued by the ecumenical representatives in Havana declares the commitment of the churches to continue encouraging dialogue and advocacy. "We commit ourselves to continuing to bring together members of our churches and councils and citizens of our nations to promote reconciliation after the many years of estrangement," the church leaders said. "We further commit to continuing our advocacy to encourage the United States of America to remove Cuba from the list of nations sponsoring terrorism, and to terminate the embargo that has created so much suffering in Cuba," they stated.